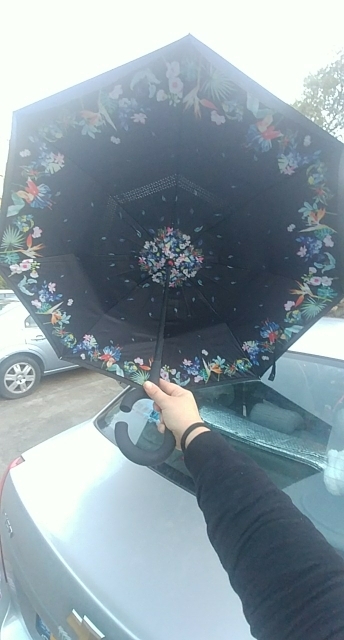 This amazing umbrella has it all !! Doble layer, the interior one with amazing designs. 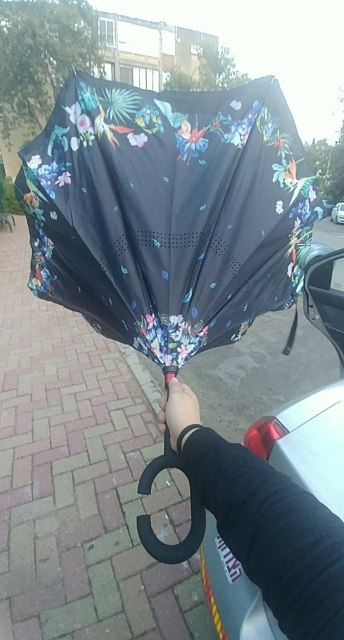 Specially shaped handle that allows for hands free operation with the umbrella open. 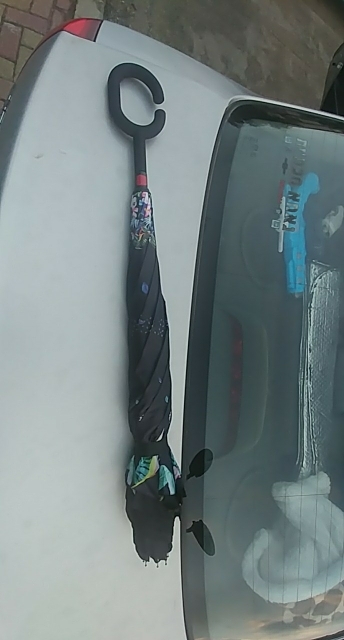 The inverted design provides you rain protection from the first moment. Make sure you select your desired design at the time of sending your choice to the cart. Parcel arrived for 10 days. Well packed. Kochestvo is great. Highly recommend. Very funny my purchase level visual and fastness. On see with use if it resists. But there is no reason .... Color same as picture!! !